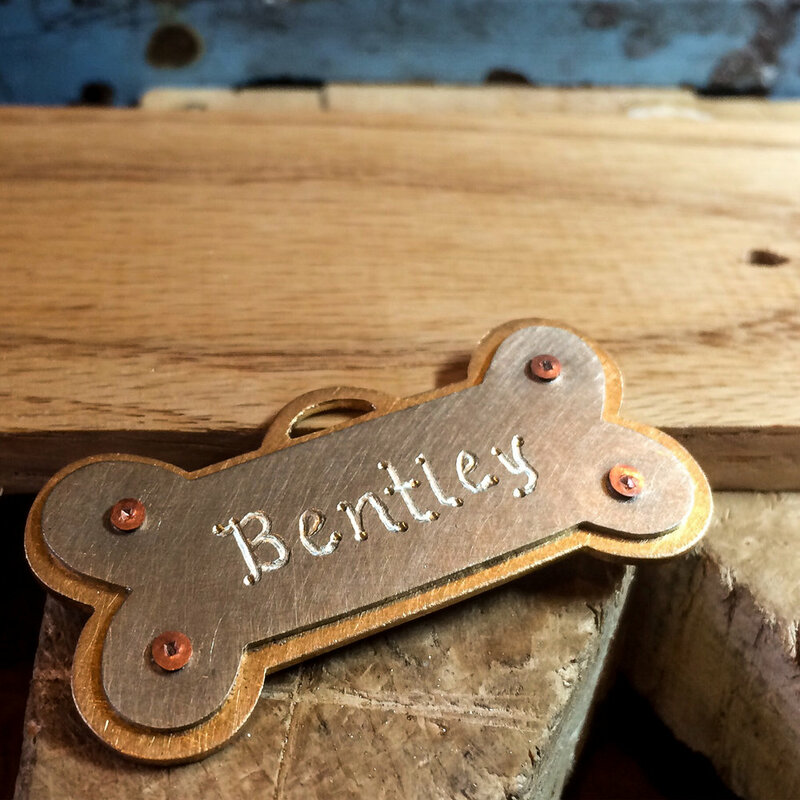 Tagtails custom-made pet tags originated in 2016, in the heart of the Hudson Valley, with a love for metal smithing, a lot of experience in custom fine jewelry, and a beloved dog named Bentley. 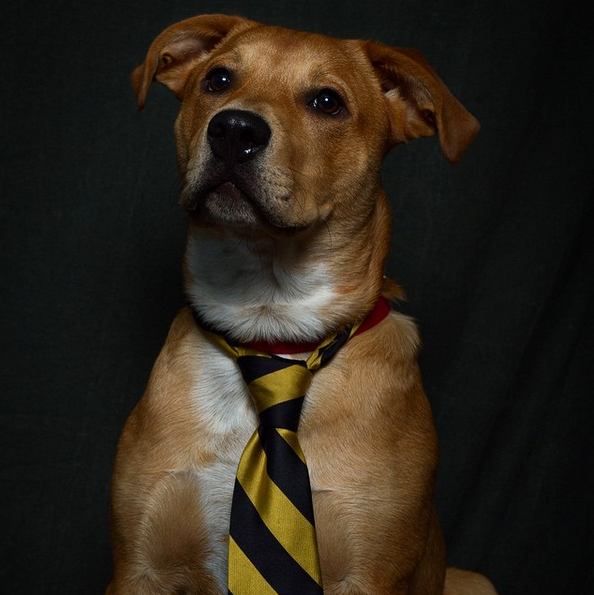 I wanted to create a product that was able to be customized as no two pets are alike, and was designed for the roughness and toughness of pet wear. 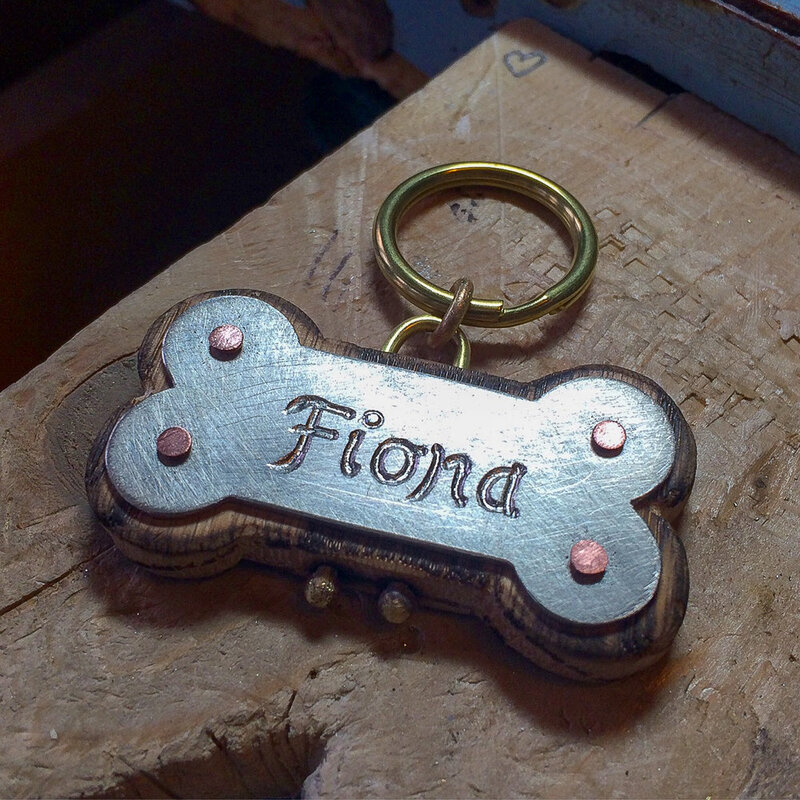 With recycled metal and wood, I began experimenting with tag after tag until I found fun designs that really suited my companion and many of his friends. Each tag is created with meaning and love and really strays away from just a marker of ownership and identification. Any suggested shape of a tag can be proposed other than the bone shapes above. NEW designs coming soon! 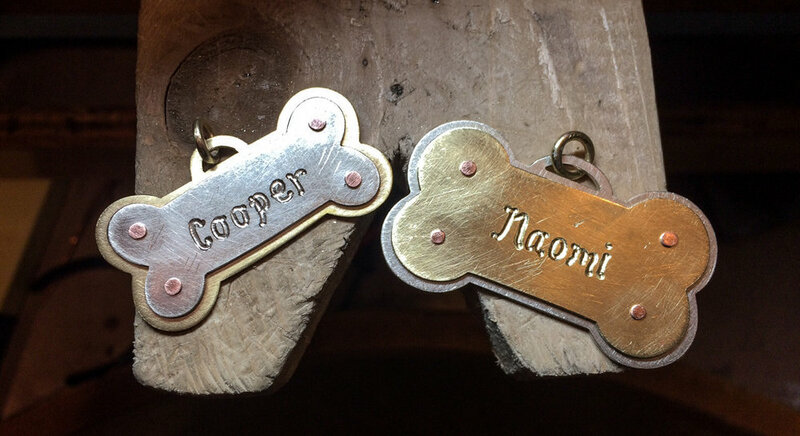 Wooden tag are able to withstand small amounts of water, splashing etc. but should not be submerged in water regularly as it may damage tag. All tags are handmade from recycled materials and may vary in size slightly. In the space provided below please describe what tag/s you would like and what pet they are for. Please be as descriptive as possible & please share how you heard about us! Below please check tag/s of interest. Please note that this is a custom process and additional information may be asked from you regarding this tag inquiry via email address or phone number as listed above!